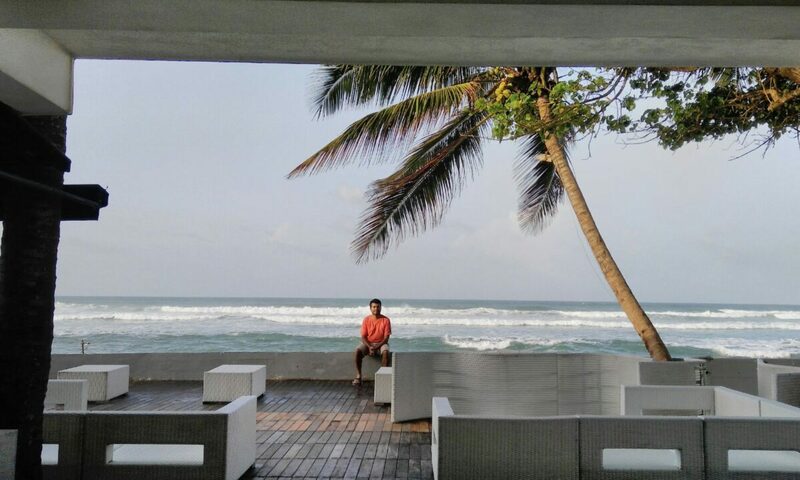 Being a Malayalee, an avid film buff and part of a generation that had grown up watching best of Malayalam cinema where the Padmarajans, Bharatans and M.T Vasudevan Nairs used to rule the Industry, I did not hesitate when my cousin brother called up and asked to pack the bag to Pondicherry. 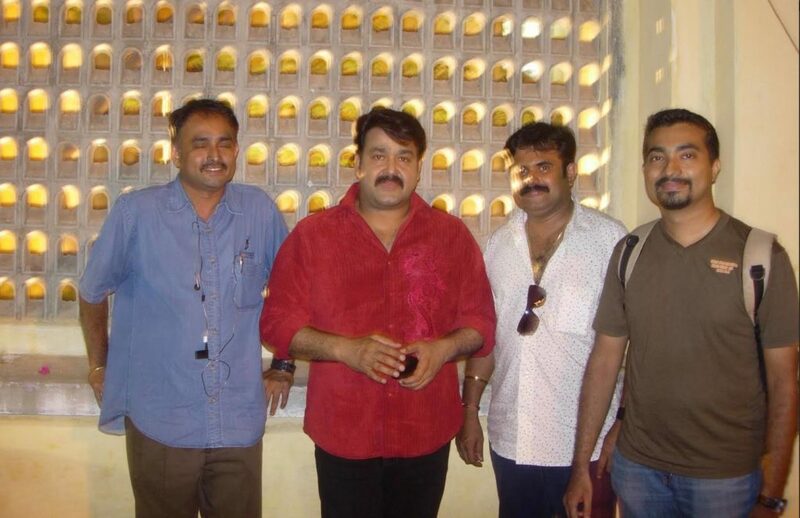 The only reason was Lt Col.Mohanlal was shooting at Pondy for his latest film ‘Angel John’. Mohan Lal was lucky enough to portray so many evergreen characters made by the above said Legends of Malayalam cinema. The opportunity to meet him came in the form of a cousin of ours, Saseendra Varma who happened to be co producer of the film. We knew that it was a rare opportunity and we left Chennai. The shooting was in progress by the time we reached Pondy. Shooting was boring except for Lalettan’s presence 🙂 As we sat opposite to Lalettan, like a kaleidoscope, various characters potrayed by Lalettan came to my mind. Jayakrishnan in ‘Thoovanathumbikal’, Doctor Ram Das in ‘Amrutham Gamaya’, Solomon in ’Namukku parkkan munthiri thoppukal’ to name a few.In front of me, just a couple of yards away, was sitting the man who has been ruling the Malayalam cinema for past three and half decades! 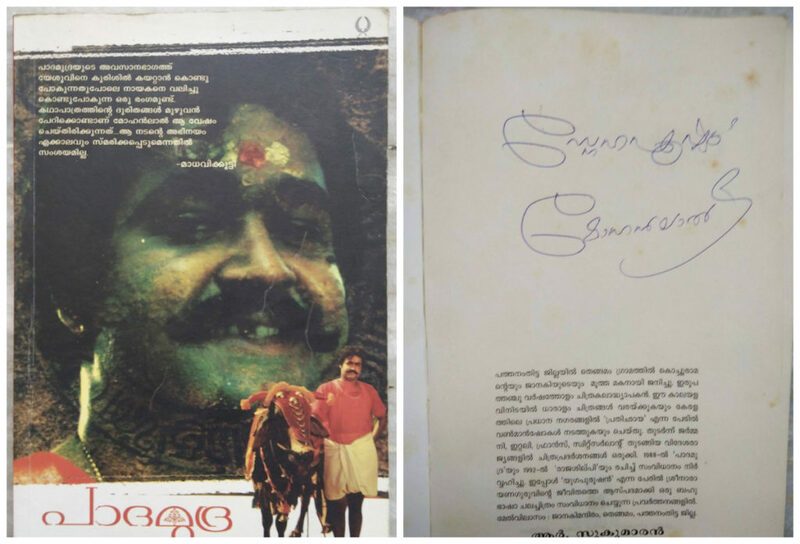 After a while my cousin introduced us to Lalettan, I had the script of ‘Padamudra’,a film released in 1988 which won him best actor(Kerala film critics) award, Special Jury (State award) and The Filmfare. He was surprised to see the book and asked whether I liked the film. He wrote ‘With Love Mohanlal’. We discussed about the film he had acted way back in 1984 (Akkare)based on my dad’s story. Sitting there I noticed that throughout the shoot Lalettan was active, talking to almost all the technicians, giving tips to co stars. So involved and dedicated to his work. In between talking and posing for pictures with the fans, ever smiling, no wonder he is a Legend I thought. It was almost 11:00 p.m and my brother said he had never imagined sitting in the middle of one of the main roads in Pondy at midnight and having tea. I thought all this only for a man, Lt Col Padmasri Bharat Mohanlal and there he was getting ready for the next shot. That’s really great. Amruthamgamaya, Cheppu, Sarvakalasala, Kanmadam, Kamladalam, Thazhvaram, Sadyam are some of his great work that I like a lot. Next PostNext An Evening with Jeffrey Archer!